Industrial brownfields and former harbour area are being developed for media, entertainment, hotels and cultural purposes. 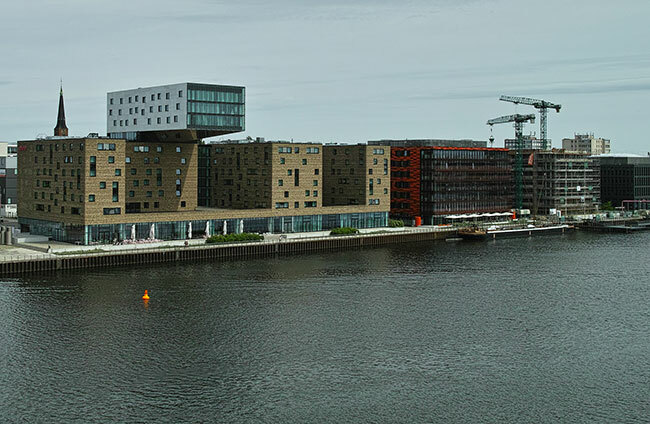 Formely separated by the concrete curtain, the waterfront is among the hotspots of development in the city-centre periphery. Following a masterplan drawn up by the Berlin Senate after reunification, both business and residential areas, and new parks have been developed at these sites over the last years.